Finished quilt measures 60 1/4" x 64". The fabric pictured is from our Mama Said Sew collection. Sashing - cream fabric - 1 1/6 yd. Border - 1 1/4 yd. Batting - 68" x 72"
I love that this quilt can be made mostly from my stash. 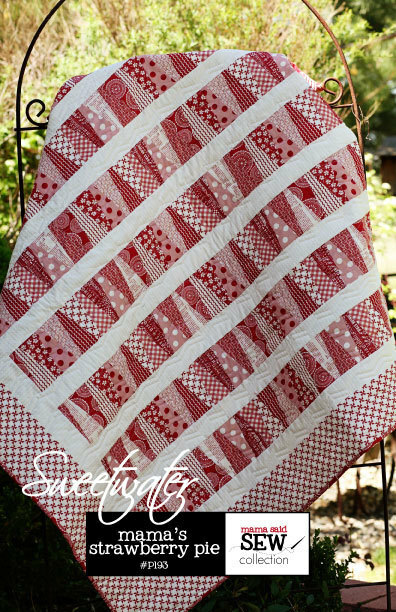 I'm intending to make a quilt that I can raffle to raise money for a charity. Love all the patterns I ordered....instant delivery and clear directions. Thank you! `Nice work; thank you for offering this pattern!